What To Do if Your Yorkie Has Diarrhea? Want Your Yorkie Featured on Our Site? We love yorkies and we love featuring them on our site! 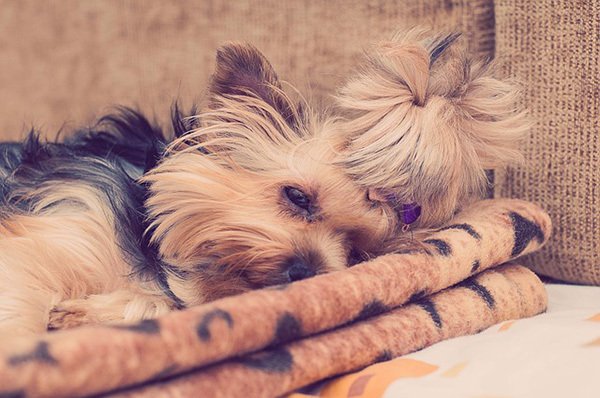 Just like humans do, our beloved Yorkies can also suffer from intestinal woes. Diarrhea, if not treated properly and immediately, can cause further complications to our four legged companions. As Yorkie owners, we should be prepared and we should know what to do if your Yorkie is having diarrhea. Diarrhea often strikes without a warning. And when a Yorkie puppy or any dog, in particular, has diarrhea, their bowel movements become very loose. In severe cases, it becomes liquid. Some common causes of diarrhea can be a simple change in their diet or a more serious issue such as infection. Flatulence – Lots of air mixed with the dog’s stool. It can also be expelled at other times. Blood in the stools – It is called “hematochezia” if the blood if it is bright red and “melena” if dark. If the blood in the diarrhea is bright red, it would mean that it is fresh. If dark, it means it is old. Mucus – Mucus looks like a jelly type substance usually works in your dog’s intestine to keep the lining of their colon moist and lubricated. Sometimes, mucus can be carried out with your Yorkie’s stool if they have a strong bout of diarrhea. Dehydration – Dehydration is one of the common symptoms that occur alongside diarrhea. It is because lots of water is taken from their body and it is expelled with their stools. If your Yorkie is dehydrated, you will notice they will suddenly get weak and their eyes start to sink. Weight loss – With your Yorkie lacking appetite and expulsion of stools, they can lose weight rapidly. A one pound loss in their weight is something to be concerned of and needs to take note of. How To Treat Your Yorkie If They Are Suffering From Diarrhea? Limit their food for a 12-24 hour period. If your Yorkie is sensitive to food ingredients, this will give their stomach a rest. If your Yorkie’s diarrhea is due to other medical causes, this will limit the number of watery stools expelled. If your Yorkie’s diarrhea seems to be clearing up, offer them a bland diet beginning with a low salt chicken broth. Mashed potatoes can also work. if the diarrhea is tolerated, give your Yorkie tiny pieces of boiled chicken breast meat and unsalted and unseasoned white rice. Mix them together. If you suspect that they have food allergies or food sensitivity, keep your yorkie on this diet for about 2 weeks. If your Yorkie is suffering from moderate to severe cases of diarrhea, it is essential to bring them to a reputable veterinarian. Signs that your Yorkie is experiencing moderate to severe cases include bloody diarrhea, vomiting, extreme weakness, and fever. The veterinarian will have to run several tests to further identify and cause and how to treat them properly. Do not change their foods fast. if you plan to switch your Yorkie to a new diet, make sure to do this in a gradual manner. Puppy-proof your home. Ensure that your floor does not have any small objects that your Yorkie can be mouthed or swallowed. have your Yorkie regularly checked by the vet for vaccination and deworming. Keep trash cans out of your dog’s reach. Watch out for things your Yorkie can swallow or put in their mouth whenever you walk them outside. We hope that the above tips will help you the moment your Yorkie experience diarrhea. The best thing to do when you notice your dog has diarrhea is still to consult the vet to seek professional help. If you have questions or other tips to share, write it in the comment box below. 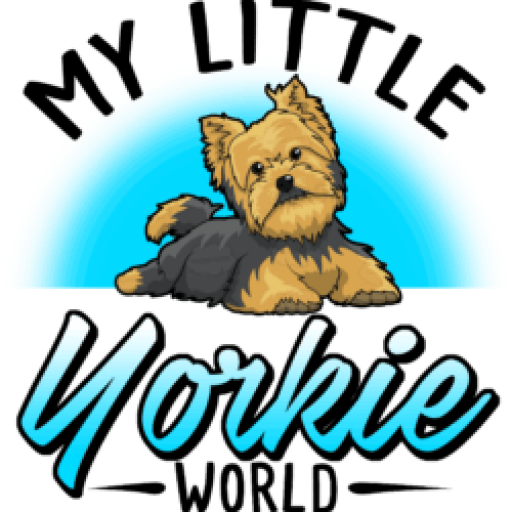 Welcome to the Internet's best community for Yorkshire Terrier (aka Yorkies) lovers! Here you will find videos, pictures and news stories about one of the world's most popular small dog breed - the Yorkie! Got a must see video or picture of your Yorkie that you'd like to see on this page (and share with our awesome community)? Get in touch via our contact form and let us know! Nero the Yorkie is Left Home Alone!